The only country from the Americas to produce gold medallists at the highest level of table tennis, the United States of America is a proud country steeped in World Championships history. 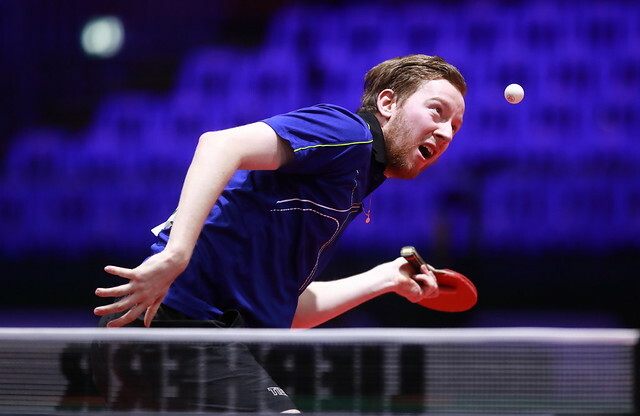 With the Liebherr 2019 ITTF World Table Tennis Championships just over a couple of weeks away the country will have an opportunity to showcase some of its exciting young stars who they hope will lead the country to a bright future in the sport. As expected, two familiar names lead the country’s female contingent with Wu Yue and Lily Zhang, aged 29 and 22 respectively, set to appear in the Women’s Singles, Women’s Doubles and Mixed Doubles categories in Budapest. The United States have also opted to field Amy Wang for the Women’s Singles event, making her second outing at the prestigious event at just 16 years of age! Rather excitingly the United States male squad features four players all born this side of the millennium: a rising star on the international scene Kanak Jha, 18, will lead the country’s charge with Nikhil Kumar, 16, Nicholas Tio, 18, and Victor Liu, 17, also competing in the Men’s Singles and Men’s Doubles draws. Wu Yue and Kanak Jha form one of the partnerships in the Mixed Doubles while Lily Zhang and Nikhil Kumar make up the other. Looking back on the country’s history at the World Championships the United States has accumulated an impressive 23 medals in total across the five categories including seven golds. Ruth Aarons was crowned Women’s Singles champion on two occasions, winning her first title in 1936 before going on to be named co-champion with Austria’s Gertrude Pritzi for the 1937 event. James McClure helped the United States to three Men’s Doubles golds, partnering Robert Blattner to back-to-back successes in 1936 and 1937, claiming his third alongside Sol Schiff in 1938. Two further titles followed in the Mixed Doubles with Richard Miles and Thelma Thall striking gold in 1948 while Erwin Klein and Leah Neuberger’s victory in 1956 marks the North American country’s most recent occasion on the top step of the World Championships podium. A rich past on the World Championships stage and there are reasons to feel excited for the future of table tennis in the United States, especially with the country beginning to put a major emphasis upon the development of its younger players.